As might be expected in bountiful, agricultural lands, walking and hiking paths are numerous around Abbotsford. Many are flat, easy-to-walk, cycling and jogging routes along the dykes such as the Sumas River and Arnold Dyke trails, both off Hwy 1. 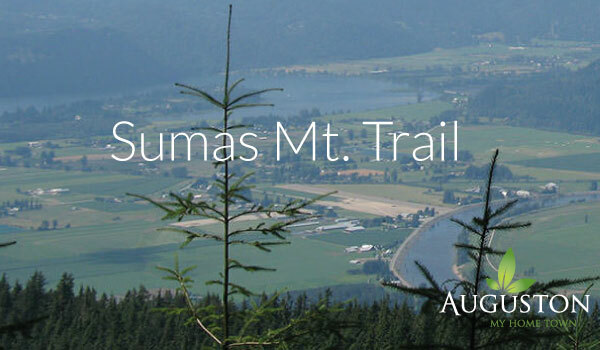 Sumas Mountain presents much more challenging hikes. Be aware that many trails and access roads are shared with mountain bikers and horseback riders. Whether it’s for fishing, swimming or picnicking, Chadsey Lake is a popular destination for hikers who don’t mind a bit of a scramble. The route is frequently muddy and log steps along the way can be slippery. The trail head is about 2km/1.2mi from the upper gate, and is also about 2km/1.2mi in length; allow two hours for the round trip. For those wanting a full-day hike, continue on to Sumas Peak. The route gets more challenging but the rewards are great viewpoints over the Valley. Return via a gravel forestry road. The full loop covers 13.5km/8.4mi and gains an elevation of 735m/2,400ft. The trail leading to the viewpoint overlooking Chilliwack and the eastern Fraser Valley is a short, moderate climb of about 800m in distance (round trip). Allow about 45 minutes for this hike. An option exists to connect with the Chadsey Lake Trail for a 7-hour, day-long hike. As part of the Centennial Trail, trailheads on the eastern and western sides of the park access this challenging hike. From the east, the trail is 16km/10mi long and will take approximately 9 hours for the round trip. Hiking from the west, the trail is 12km/7.5 mi round trip (5 to 6 hours). The elevation gain is 700m/2,296ft and there are some steep sections. Much of the trail passes through Sumas Mountain Regional Park where it joins the Chadsey Lake loop trail. The Discovery Trail is a paved, three-metre-wide all-season corridor spanning more than 30km/18.6mi of the community, connecting the east and west side of Abbotsford. Accessible to a wide range of recreational activities such as walking, running, rollerblading and bicycling, the trail passes through many natural habitats including towering trees, scenic ponds and lush meadows. Look for trailheads at Exhibition Park, Willband Creek, Clearbrook Park and Townline Hill Park. Willband Creek Park Located off Hwy 11, the trails at Willband Creek Park are built around stormwater detention ponds and encourage a diverse waterfowl population and various species of migratory birds. These wetland trails border on farmland and provide excellent opportunities for viewing wildlife and enjoying the quiet, natural environment. An easy interpretive walk weaves around the ponds, as well as a longer 3km loop that brings hikers back to the parking lot. 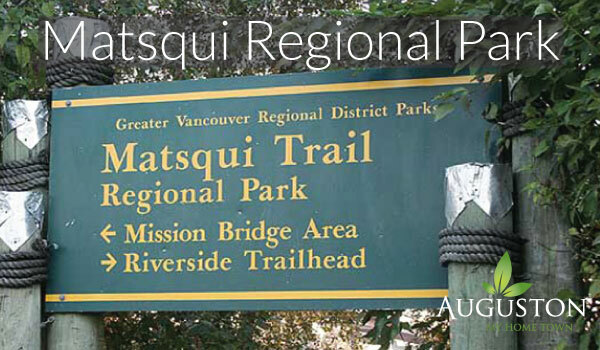 Located on the south shore of the Fraser River, there’s over 10km/6mi of level trail that meanders along the river and is ideal for all levels of fitness. Across from Mission, views include everything from riverside industry to quiet farms and fields dotted with black-and-white Holsteins, snowcapped Cascade Mountains and fisherman throwing a cast or two. The trail has long stretches that are great for cycling and paths lead down to picnic areas by the river’s edge. Bassani Park Tucked away in the Highlands is Bassani Trail. This is a short walk with a great view and the perfect place to relax and enjoy the sights and sounds of a natural waterfall cascading over sandstone cliffs. Maidenhair fern, big leaf maple, Douglas-fi r and western red cedars flourish in the misty coolness of the deep ravine. 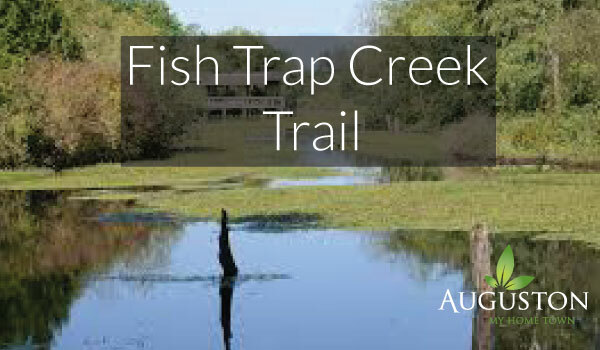 A gem on Abbotsford’s Discovery Trail, Fishtrap Creek provides visitors with an opportunity to experience flora and fauna right within the city. The trail starts off with towering trees that play with the sunlight, allowing rays of sunshine to stream through along the trail. After a short walk you’ll see the picturesque Fishtrap Creek. Lily pads are home to ducklings and dragonflies, and provide shade for tadpoles below. Take a walk out over the water and you’ll be surrounded by sounds of birds chirping, squirrels scattering, and frogs leaping into the water. You’ll quickly forget you’re in the middle of a city as the sights and sounds of the forests welcome you to a sanctuary of peace. While this trail only takes 75 minutes, be sure to slow your stroll and enjoy all of the scenery along the way. Located in Sumas Prairie are the Dyke Trails: Arnold, McKay Creek, Sumas River, Barrowtown and Vedder Trails. Passing through the agricultural heartland of Abbotsford, hikers will take in the acres of blueberry and raspberry fields as well as the many dairy farms. The banks of the Sumas River and Vedder Canal offer spectacular opportunities to bird watch. The Dyke Trails are geared to many activities including walking, running, cycling and horseback riding for all levels of fitness. Here’s a link to the City of Abbotsford’s Trail Guide. Enjoy getting outdoors!